I'm ABSOLUTELY STOKED to be able to share the new cover for the next book in the Outside Series by Shalini Boland. Shalini is my all time favourite YA author (and also a pal!). Her books are totally amazing and I can't wait to get my hands on The Perimeter! There’s a sinister force coming for Riley, and the only things keeping her safe are a perimeter fence and the people she loves. As her life is threatened, she must make impossible choices. But help comes from the most unlikely of places, and all Riley needs to know is: Who can she really trust? Meanwhile, a repentant killer searches for peace and redemption. Things become twisted when he is faced with the exact opposite, and pretty soon he will have to make the hardest decision of his life. 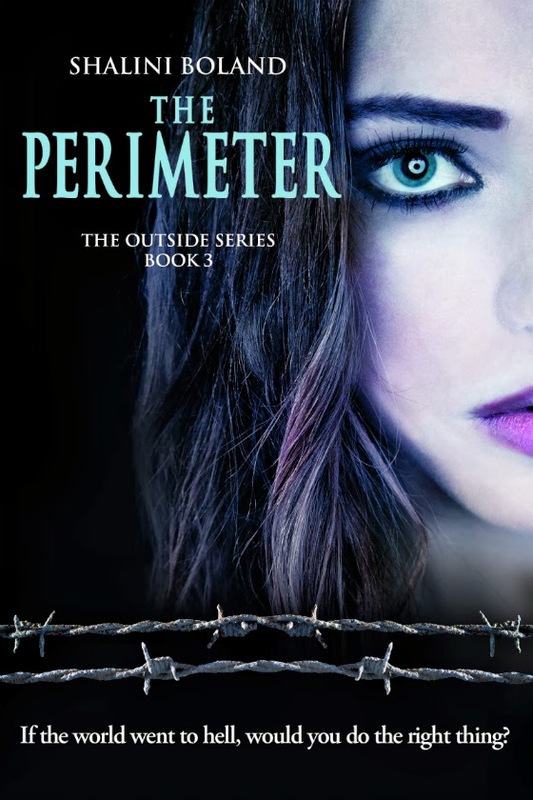 The Perimeter is a darkly captivating YA tale that will have you on the edge of your seat and up at night turning the pages to find out what happens next . . . It looks and sounds like an awesome read! This is an amazing blog Suzy. You bring the classiness to everything you do!